A soft, dry, tea-leaf note distilled in Bulgaria from organically-grown plantations. Calming, euphoric and balancing, Clary sage oil is for prolonged overstimulation leading to mental, emotional and physical tension and restlessness. An important woman's regulator in all phases of reproductive life. 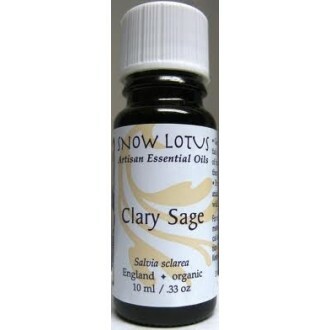 Clary sage benefits oily skin and hair, and can be used for wrinkles and hair loss.